If anyone is here expecting to read anything of an equestrian nature you will be disappointed. Neigh Nay, what I am talking about here is making sourdough bread. 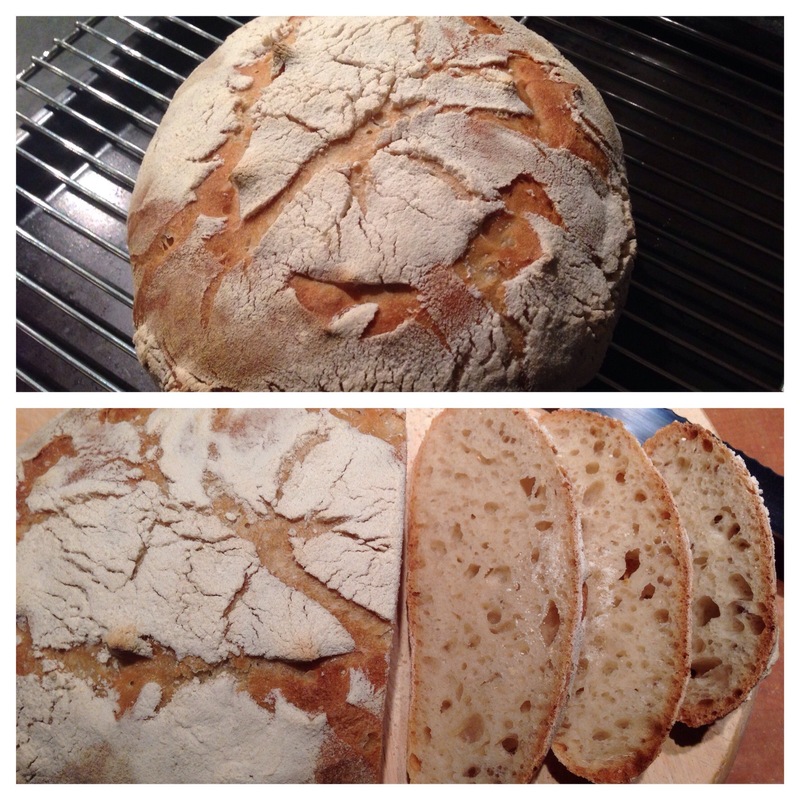 Ballymaloe was the last time I made sourdough – not exactly yesterday! I am turning to Emmanuel Hadjiandreou once again and making a basic white sourdough. Two weeks ago I made the ferment. This is a combination of flour and water which you mix together over five days in a jar which you then seal and leave at room temperature. Once this has been completed you can use what you need to make the starter and refrigerate what’s left in the jar for another day. Last Wednesday (day 1) I decided I would like to make sourdough bread for the weekend. Out came the jar from the fridge. I added some more flour and water to the jar, resealed it and left it overnight by the side of the AGA. Next day (day 2) I took a spoonful of the ferment, added it to a bowl along with some more flour and water, covered it with some cling wrap and left it at room temperature. Are you following this?? The top picture is the ferment (lunchtime day 2) before I mix it with more flour and water to make the starter. 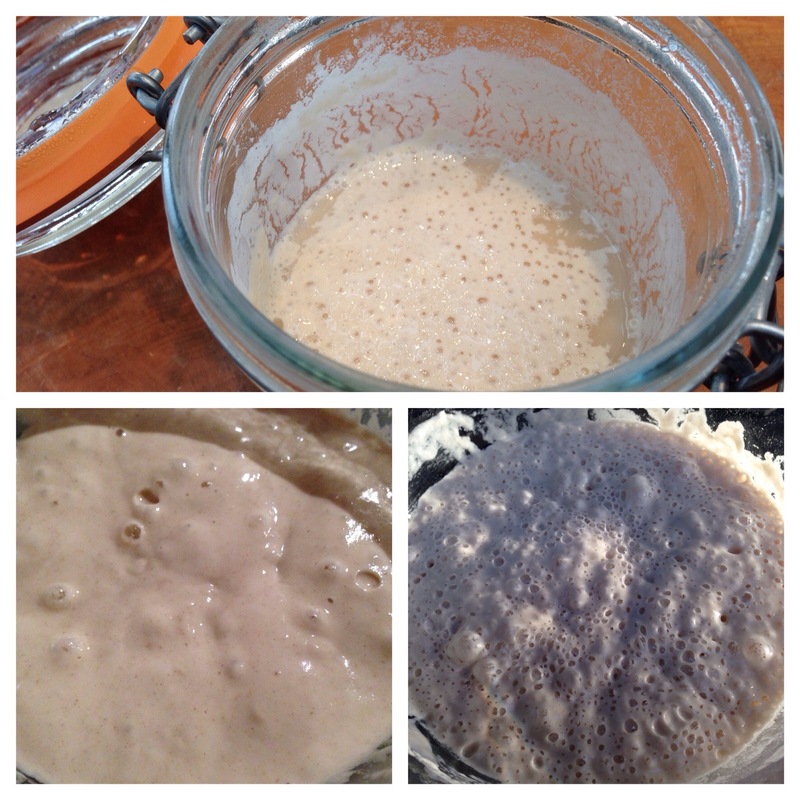 The other two pictures are of the starter at different stages – evening of day 2 and lunchtime day 3 – you can see the increase in activity quite clearly. Now it’s ready to make the bread. Very similar process to the regular bread I’ve already made except you need a basket, generously dusted with flour, to prove it in. And it takes a bit longer to prove – 3 to 6 hours. 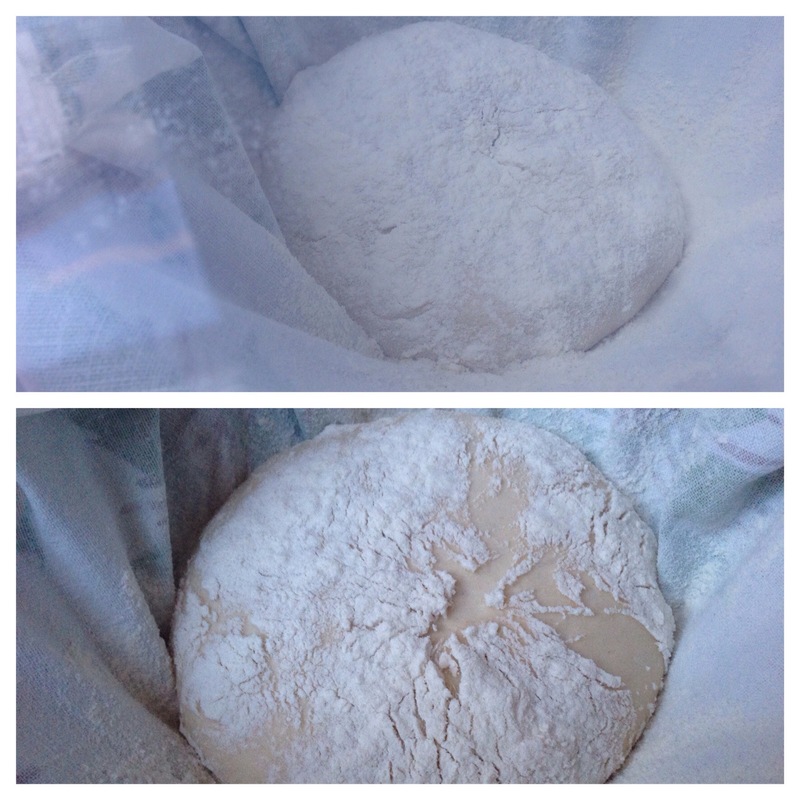 the top picture was when I first put the dough in the basket and the second picture is a few hours later. The finished bread! I think it looks amazing! And even though I say it myself, it tasted pretty amazing too. 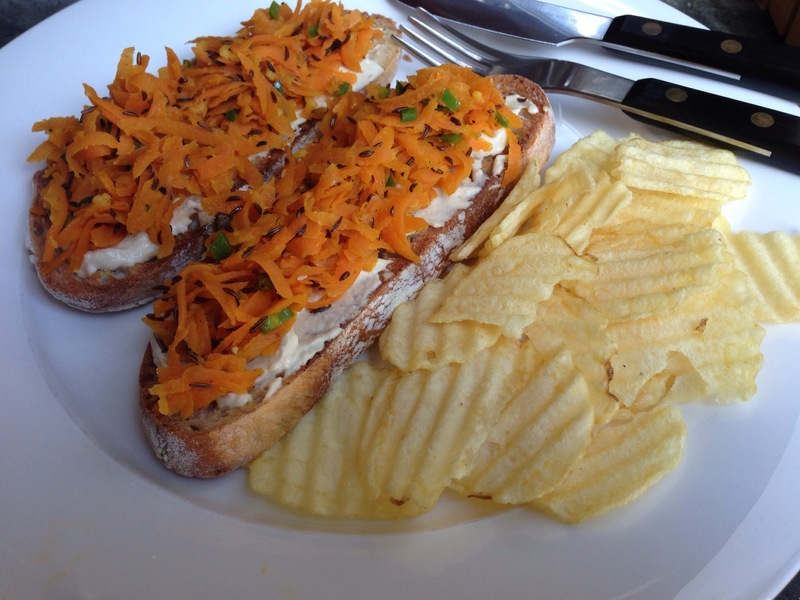 This entry was posted in baking, bread, Emmanuel Hadjiandreou and tagged bread, Emmanuel Hadjiandreou, flour, sourdough bread, vegetarian. Bookmark the permalink. Ha, I can’t believe you were worried about your bread at 2am. Actually I can, as I have been guilty of the same. The sourdough looks lovely and the starter very active. Enjoy!